We have put out a newsletter every month since we first began writing them in May 2013, but this month’s issue almost did not happen. Between fatherhood and the chaos of our practice’s move, I had little time to write this month. Taking advantage of any windows I did have, I began to write a feature only to realize towards the end that I had already written about more or less the same subject last year. Ugh. Just when I was about to concede that this month’s newsletter was a lost cause, I opened our office closet in the midst of packing and spotted some of my proverbial skeletons, relics from when I practiced using a very different approach than I do now, and I realized I had found this month’s newsletter topic. Because some of our readership is comprised of former patients who worked with me when Joanne and I first established our practice (and some readers go back even further to when I was working elsewhere), they have witnessed the evolution of my work firsthand, whereas other readers probably have no idea what I am talking about and figure I always worked the way I do now. How I wish that were the case. The truth – the embarrassing truth – is that I used to be very much part of the problem. A small cardboard box on the top shelf contained a squishy, slimy, yellow rectangle: a model of a pound of body fat. One of my colleagues gave it to me back in 2010, I think it was, with the idea that seeing the “fat” would motivate patients to lose some of their own. The connotation was clearly negative, as reinforced by the written description that came packaged with the model, and I remember feeling uneasy about using it with my patients. Even though I was practicing from a weight-centered model of care at the time, my counseling instincts suggested that scare tactics and shame were unlikely to yield any positive results. Regrettably, I did show the model to a handful of people, and the experience reinforced that my intuition was on the right track. Back in the box it went, and there it stayed until recently taking up residence in the dumpster behind our office building. The most glaring skeletons were scattered over the closet floor: scales. Over the years, we accumulated quite the collection, including two basic home models, a medical-grade wireless body composition analyzer, and an old-fashioned physician beam scale. My schooling and internship were largely weight focused, but to be fair and completely honest, some weight-neutral lessons did creep in, such as this article that came up in my nutrition assessment course, but they were easily drowned out by the tsunami of weight-focused messages that echoed my own preconceived notions about body size and shape. Once I began practicing, I discovered that helping people lose weight and keep it off was not nearly as easy as most of my schooling suggested it would be. My patients nervously got on the scale at their follow-up visits, but they had no idea that inside I was just as anxious, for I felt that lack of results meant that I was a bad dietitian. To be candid, I was a bad dietitian, but my problem had nothing to do with the dearth of lasting weight loss among my patient population and everything to do with my approach that focused on such numbers in the first place. Five or six years ago, I began talking with more seasoned colleagues, such as Heidi Schauster and Ellen Glovsky, who opened my eyes to the reality that weight-focused approaches to care almost never work. Shortly thereafter, I stopped weighing my patients or testing their body composition. Pitching our scales into the dumpster last week was as satisfying as it was symbolic of how my approach to care changed over our time in Wellesley. This October, I will be speaking at Massachusetts General Hospital about weight stigma in healthcare settings, and one of the specific topics the course directors have asked me to address is my transition from a weight-focused paradigm to a weight-neutral approach to nutrition counseling. Other dietitians, as well as nurses, physical therapists, and other healthcare practitioners, will be in the audience, and it is important for them to know that we all screw up sometimes. We can come to see our mistakes, own them, learn from them, and change course. Our patient care improves, which is the bottom line. My learning continues. As Joanne and I unpack and get settled into our Needham office, I think about the artifacts from today that I will find hidden away in our file cabinets, desk drawers, and closets upon retirement decades from now. Hopefully, I will not look back on them with embarrassment similar to what I felt upon opening the Wellesley closet, but let’s be honest, there is a lot of professional education and growth still to come. Most of you know by now that our practice is moving soon, but now we finally have the details to share with you. Our last day practicing at our current location in Wellesley is Friday, August 24th. We will then close for a week while we move the practice three miles down the road to Needham, where we will reopen on Tuesday, September 4th. 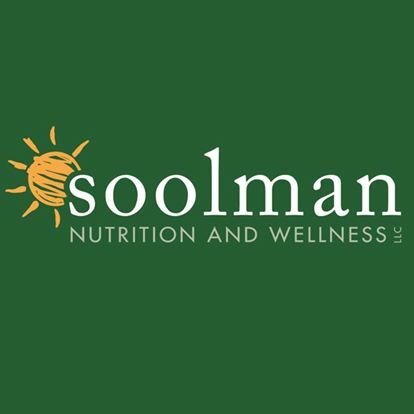 In order to avoid confusion regarding where appointments are happening this week, we are purposely refraining from updating the address and telephone number on soolmannutrition.com until we have closed the Wellesley location. Please check back during the last week of August for these pieces of information. (1) The Needham location offers plenty of free on-street parking. No more fighting for a parking space, feeding the meter, and racing the parking enforcement officers to your car after your appointment. (2) Situated in a quiet residential neighborhood, the Needham location offers greater privacy for those who prefer discretion while going to and from their appointments. (3) Unlike the Wellesley office, our Needham location is fully handicap accessible, including a wheelchair lift and ADA-compliant restroom, so everybody has equal access to the care they deserve regardless of physical ability. A less significant piece of news, but one still worth mentioning, is that we will be shortening our business name when we move the practice to Needham. Wellness is admittedly a somewhat vague term and, honestly, I do not even remember what I was getting at when I named the practice all those years ago. More than anything, its inclusion leaves people scratching their heads as to what we do. We are the Soolmans, and we help people with their nutrition, so Soolman Nutrition LLC is all we need.